Le Printemps.../The Spring... - COCKTAIL CREATIF! 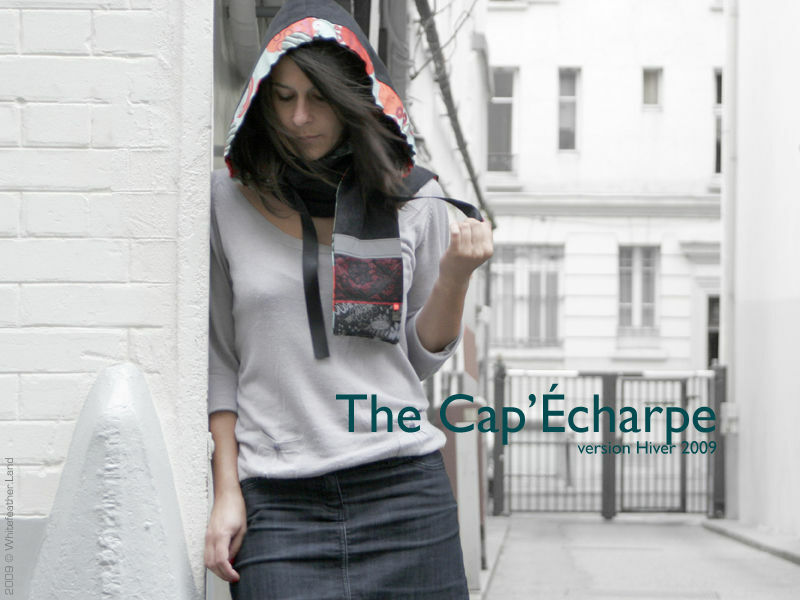 Talented Fashion designers group themselves together to rent places and create some pop-up stores in different places only in Paris for now… They have for only purpose to show their creations and hard labor to people… Everyone is welcome in our small sales where we want everyone to have a good moment. Après une longue trêve hivernale, les joyeuses troupes du Cocktail-Créatif reviennent avec les beaux jours. 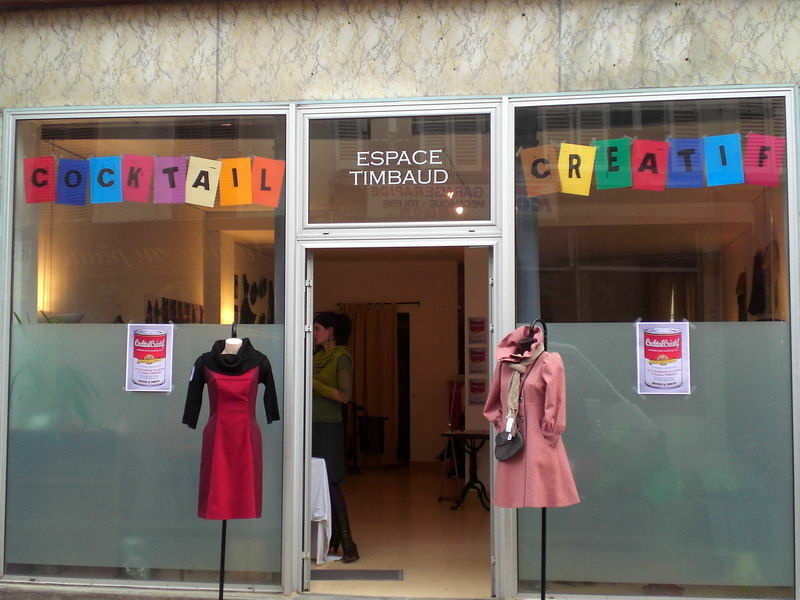 Toujours sous l’impulsion et la sélection de MADEVA, le Cocktail-Créatif revient en ce lieu qui devient peu à peu notre ’boutique éphémère/pop-up store’ avec maintenant les nouvelles collections printemps-été 09!.. During those smalls but very charming and enthousiastics sales, all participating designers will present you their new Spring-Summer 09 collections and their very last creations. Begin of season is always the best way to find all designs in all sizes and colors, because we are all working with very limited editions or unique, made in France, by very small producers here in Paris or sometimes by the designers themselves (no mass production here), so the sooner in a season you come, the better choice is. 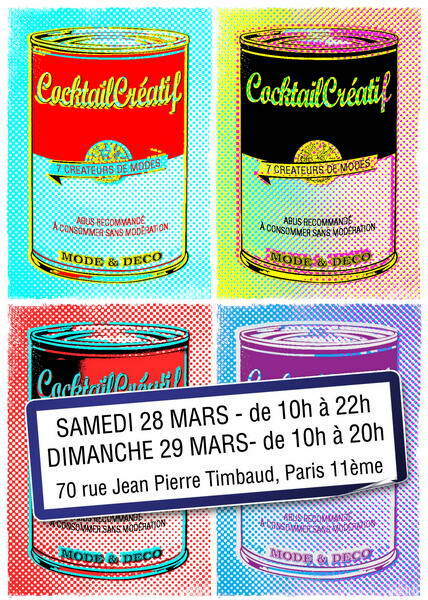 Nous aurons également le plaisir de vous convier à un petit vernissage/cocktail le samedi à partir de 18h (et jusqu’à 22h)! We will be pleased to welcome you at a small premiere-exhibition/cocktail every saturday from 6pm to 10pm! A CONSOMMER SANS AUCUNE MODÉRATION - L’ABUS DE MODE ET DE DÉCO N’EST ABSOLUMENT PAS NUISIBLE POUR LA SANTÉ! !